Some people like drinking their liquor neat, which means that they like to drink it pure and without any additives like ice or water. The reason why some people like to drink it this way is to preserve its taste. They believe this is the only way to drink whiskey.If you’re one of those people who prefer to drink their liquor this way, there’s a way for you to enjoy drinking whiskey cold. While there are those who prefer to drink their liquor warm and straight out of the bottle, there are those who like to drink it cold.But how do you drink something cold without putting in any ice? You can’t just refrigerate a bottle of Scotch. So what do you do to make your liquor cold without sacrificing its taste? Easy, just buy the best whiskey chilling stones in the market. Whiskey chilling stones are tasteless and odorless materials that could chill your drink without changing its flavor. These chillers come in different forms, some chilling stones come in the form of cubes while others come in the form of iron balls. Regardless of its appearance, the end goal is still the same.These stones are often used as a substitute for ice when drinking hard liquor. While most people prefer to drink their whiskey with either ice or water, there are those who prefer to drink it without any additives. This is to really taste the full flavor of the liquor that they’re drinking.If you’re one of those classy fellows who prefer to drink their liquor this way, then you’re in the right place. In this article, we’ve collected some of the best whiskey stones that you can buy on the market today. So, without further ado, here are the best chilling stones that you need to have. If you’re new to chilling stones and you want to try something that’s worth your time then the Pure Soapstone Grey Beverage Chilling Stones by Quiseen might be what you’re looking for. This soapstone chiller is perfect for those who are new to this product. Chilling stones preserve the flavor of your drink while keeping it cool and fresh. One box contains 9 cubes which you can reuse by just putting it in your freezer. Each cube is perfectly sized to fit in your whiskey glass. Just be careful when you store these cube in your fridge, make sure that you clean the cubes before storing it. Chilling rocks isn’t always about who could make the drink colder. Sometimes, it’s about design and self-satisfaction. If you’re looking for something in this area then the Stainless Steel Wine Stones Chilling Rocks by Lastia might be for you.This chilling stone is ideal for those who are looking for a gift for their loved ones. The heart-shaped design is perfect for women who love to drink hard liquor. It’s a unique gift that you can give to your friends without sacrificing the quality of the product. Luxury and design are what separates the common whiskey stones from the unique. And if you’re looking for a chilling stone that’s sophisticated then the Luxury Whiskey Stones by Manly Thing might be what you’re looking for. What makes this chilling stone stand out is that it’s long-lasting and it has an elegant and sophisticated design. It’s also very durable and it can chill your drink while maintaining its flavor. You can also give this chilling stone as a gift for your classy friends. If you own a bar and you need something unique to add to your bar and drinks, then the Whiskey Stones Grenade by BarMe might be for you. This chilling stone could be the latest collection to your bar. With its unique grenade like design, this chilling stone is indeed a one of a kind design.What makes this chilling stone unique is that despite its design it’s still made out of quality materials. It can chill your liquor in just 2 to 3 minutes with just one stone. It also cools down faster when you put it in the freezer. Tired of the same old color and design? Why not try something that’s made out of stainless steel and gold? If you’re looking for something new, then the Titanium Gold Plated Stainless Steel Chilling Rocks by Osleek might be what you’re looking for. The golden cubes aren’t actually real gold. They’re gold plated stainless steel metals that have whiskey stones inside. The metal cubes are odorless and tasteless that cools and chills your drinks. It’s a perfect gift for those who love the elegance of gold. If you happen to love guns and ammunition, then the Bullet Shaped Whiskey Stones by BarMe might be what you’re looking for. This chilling stone is shaped like a silver bullet that could chill your drink. 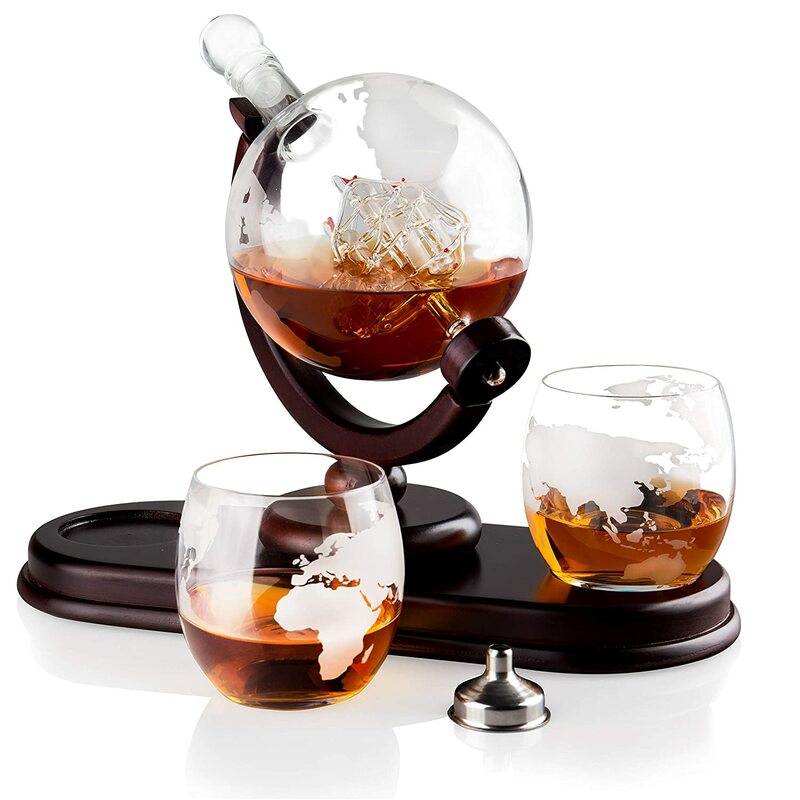 It’s a perfect gift for those who enjoy their liquor with something interesting. The bullets are made from stainless steel metal which cools your drink instantly when you drop it into your glass. You can impress your friends with your unique chilling stones and show them what’s the right way to drink hard liquor. It’s also a perfect gift for your friends who loves to drink with style. This diamond shaped chilling stone is for people who love the color black. The Diamond Shaped Granite Whiskey rocks by Sublimeware is a one of a kind chilling stone that could keep your liquor cool without destroying its taste.This diamond shaped chilling stone is made of stainless steel metal, although it appears to be granite. You can chill it in your freezer for a short amount of time and it could still cool your liquor. It’s a perfect ice breaker for any social gathering or just for chilling at home. If you want a classic chilling stone that you can use on a daily basis then the Stainless Steel Whiskey Stones by AmazeFan might be what you’re looking for. This chilling stone has a simple design that’s perfect for every drink. It’s easy to clean and doesn’t leave any residue when you use it. The stainless steel cubes come in different colors so you can choose whatever color you want to put in your glass. The package comes with a pair of silicone tongs and 8 pieces of stainless steel cubes. It’s easy and safe to use so you don’t have to worry about its quality. For the people who love the beach and the sea, there’s a chilling stone that’s just for you. The Sea Stone Whiskey Chilling Stones by Sea Stones is a unique chilling stone that has a stone-like design. You only need one stone because of its size and premium quality. Each stone inside of the box has a different feature and design. It’s also eco-friendly so you don’t have to worry about its contents. Despite its appearance, you can be rest assured that the rocks will not alter the flavor of the whiskey. What is your favorite one ? Tell me in the comments below! Cool. I didnt know i needed those stones till now..